While I have known my friend Tina for decades, I didn’t know she was a bike racer back in the day until a few years ago. 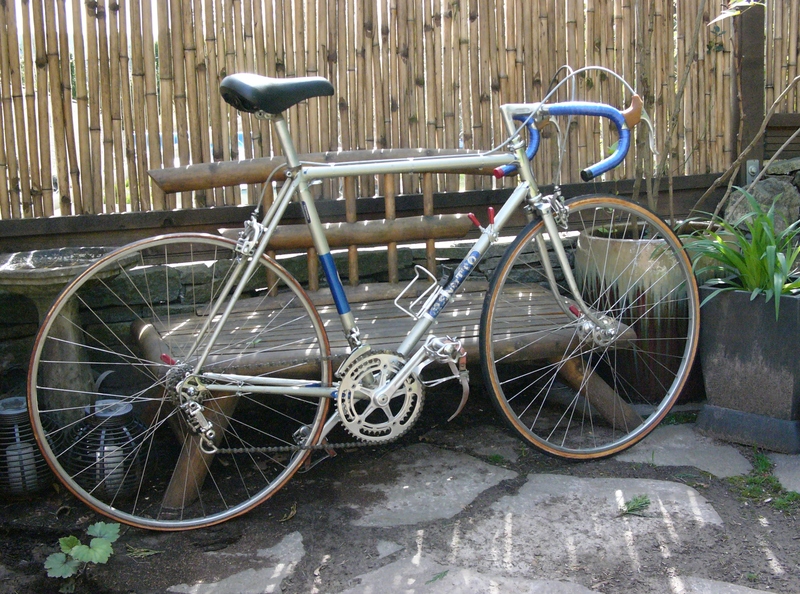 Probably all of us have done some interesting things in our youth (some best forgotten), but I was really impressed to discover that Tina owned this beautiful Benotto, which she acquired new back in the 1970’s. 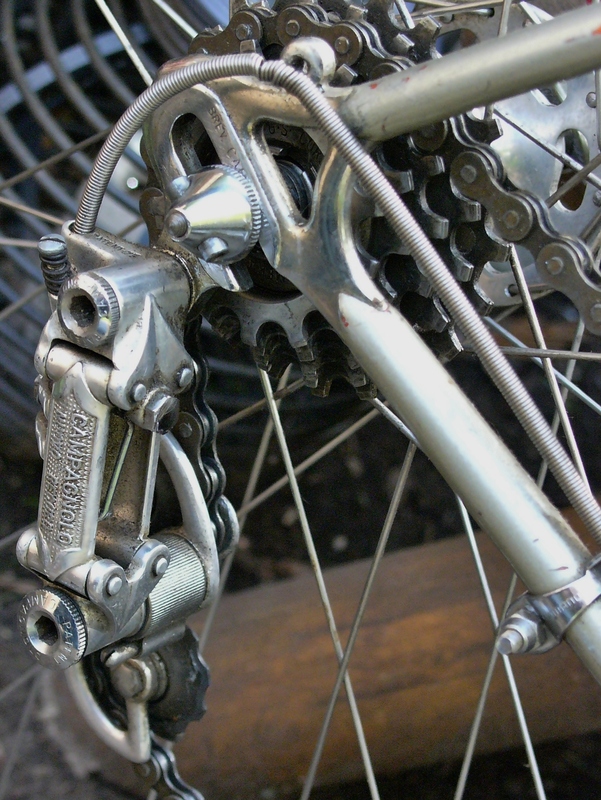 She competed in the races of the time, in her home state of California, on this extraordinary 20 lb full Nuovo Record Campagnolo machine, riding tubular Fiamme rims laced to high flange Campagnolo Nuovo Record hubs. 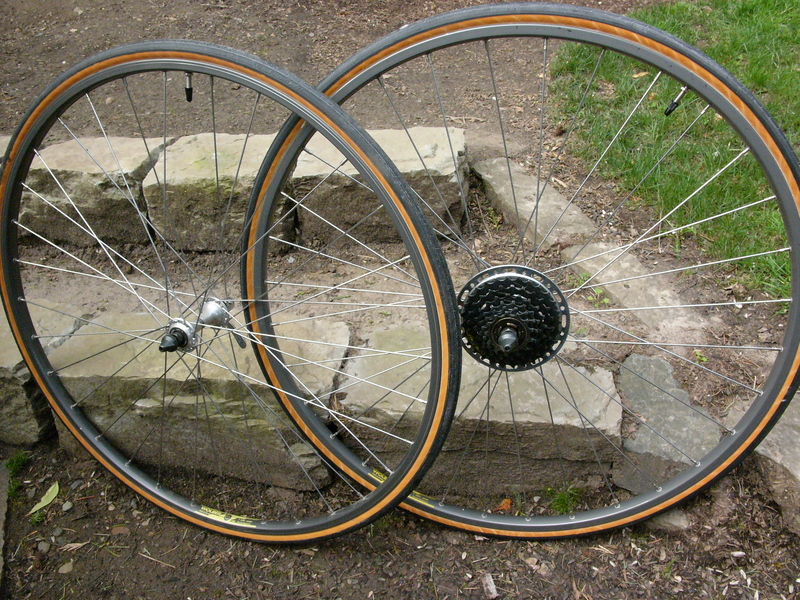 When she stopped racing, she swapped out the wheelset for a more useful clincher set with a wider gearing ratio, shown below. 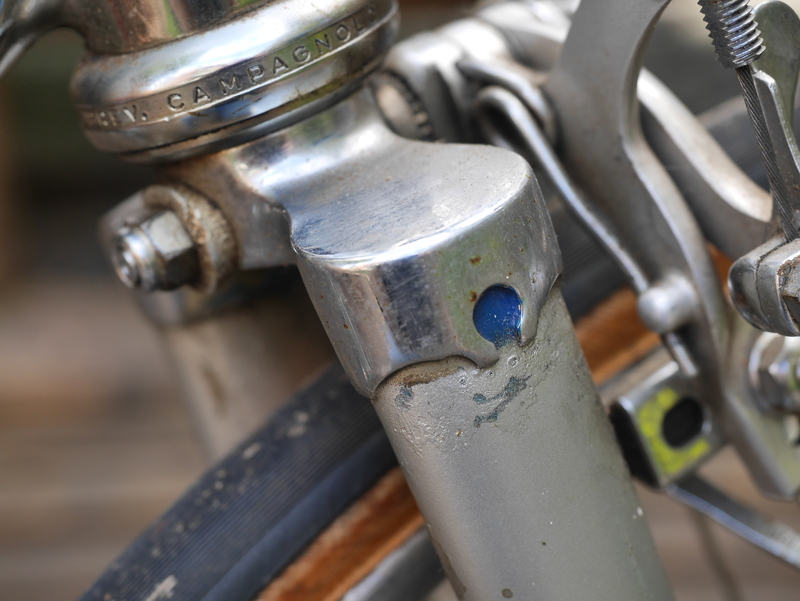 The bike is 100% original, except for the early Terry saddle added later, and these photos show its condition, unrestored, after decades of storage. Amazingly, it is still lovely and appears easily restorable to its original glory. Since Tina doesn’t ride this bike any more, she asked me to evaluate it, and to see if any of my readers were interested in buying it from her. 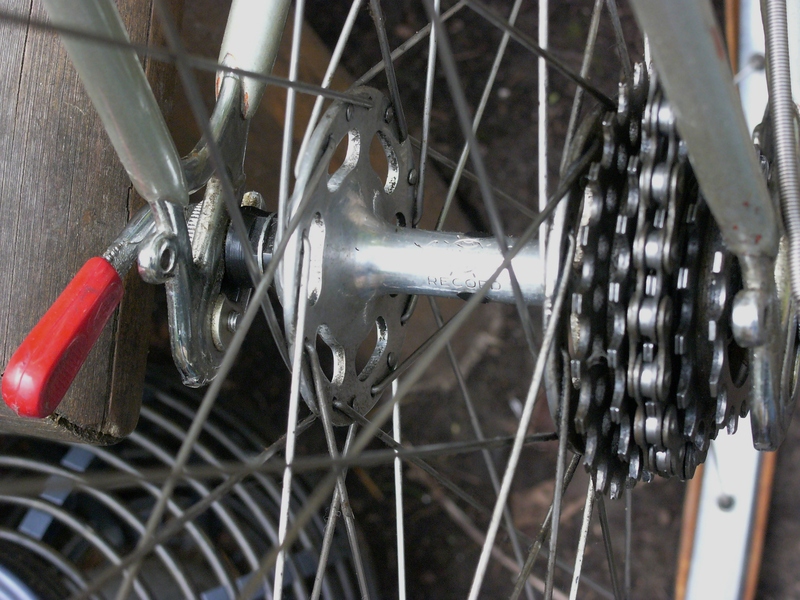 Such a bike, if sold on eBay, would simply be stripped into its separate parts and re-sold at a profit, because it is now true that a complete bike is worth less than the sum of its parts. But, not for Tina. She would like the bike to go to someone who will keep it intact and enjoy riding it. And that’s where I come in. 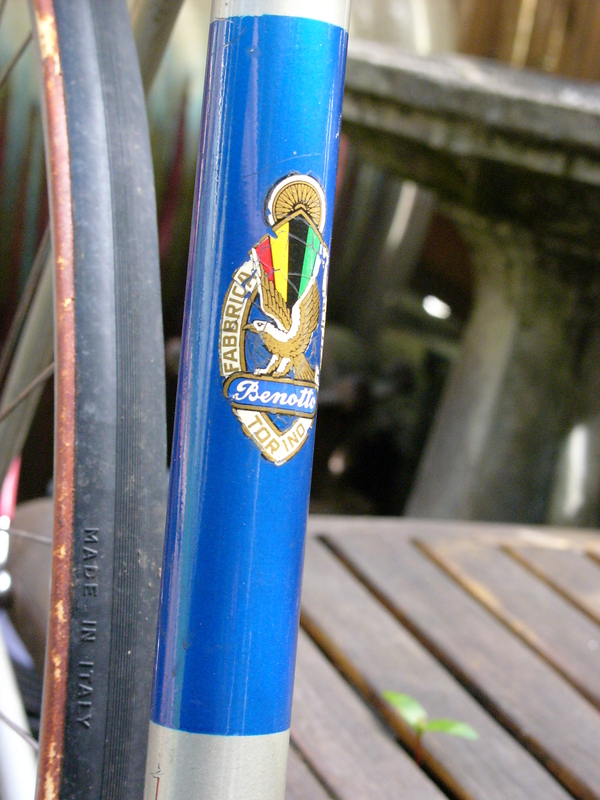 I have no prior experience with Benotto’s, so my first task was to determine its provenance and date of manufacture. 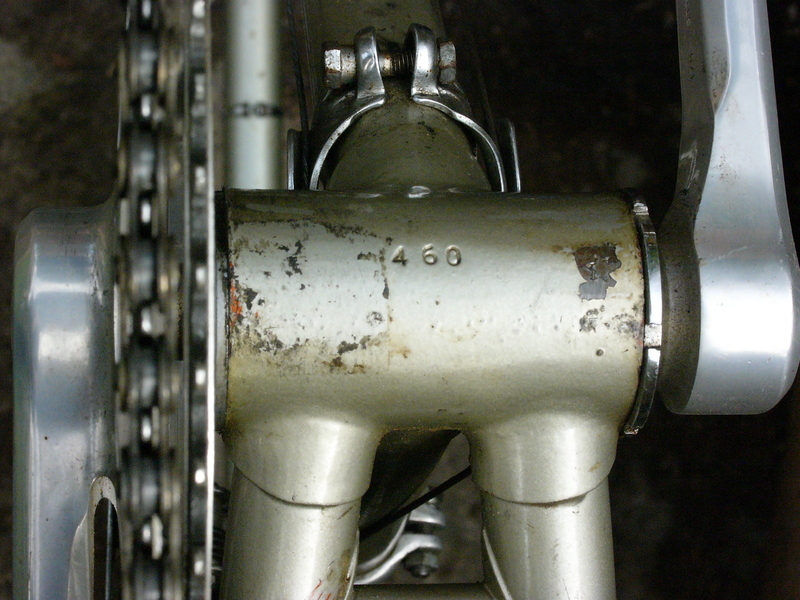 The bottom bracket shell shows a 460 serial number. 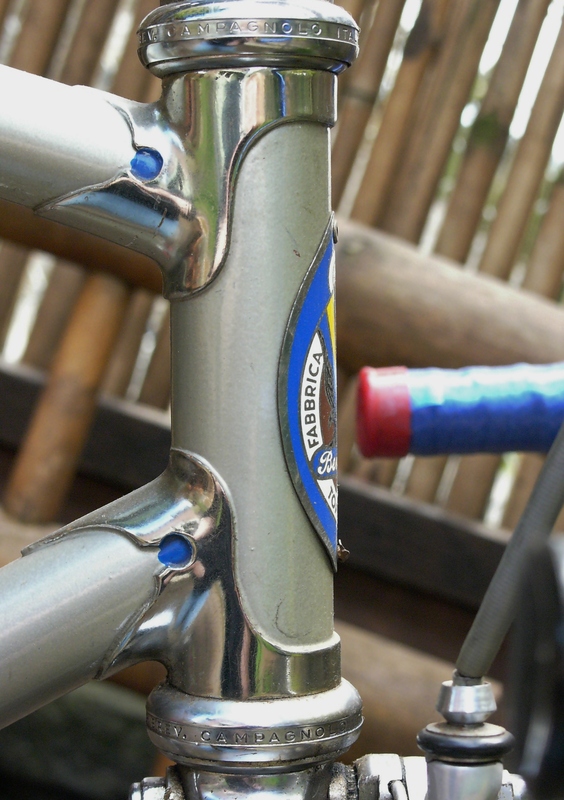 Unfortunately, I learned that Benotto serial numbers, much like Peugeot’s aren’t really reliable for determining the model year of the frame. 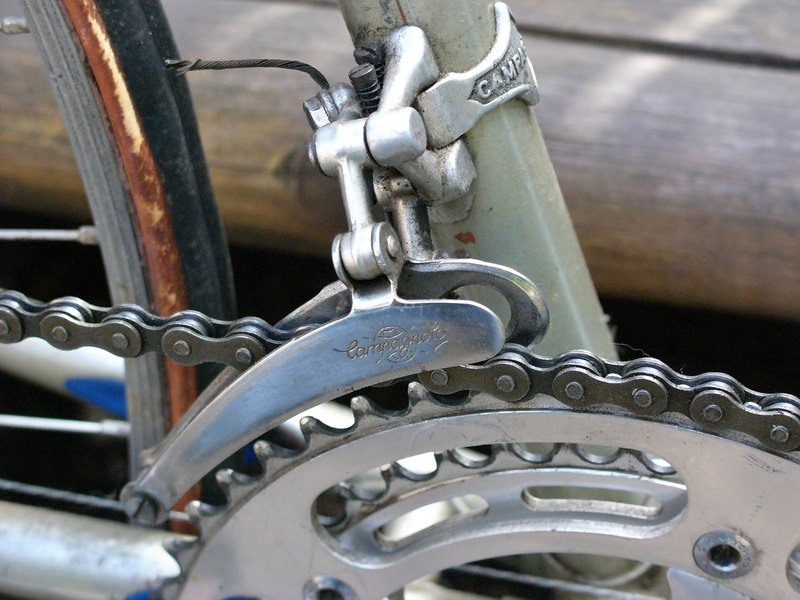 Other clues included the chromed, forged Campagnolo drop-outs, the weight of the machine (20 lbs), the style of the fork and head lugs (chromed lugs, with chromed sloping fork crown), and the appearance of the components. 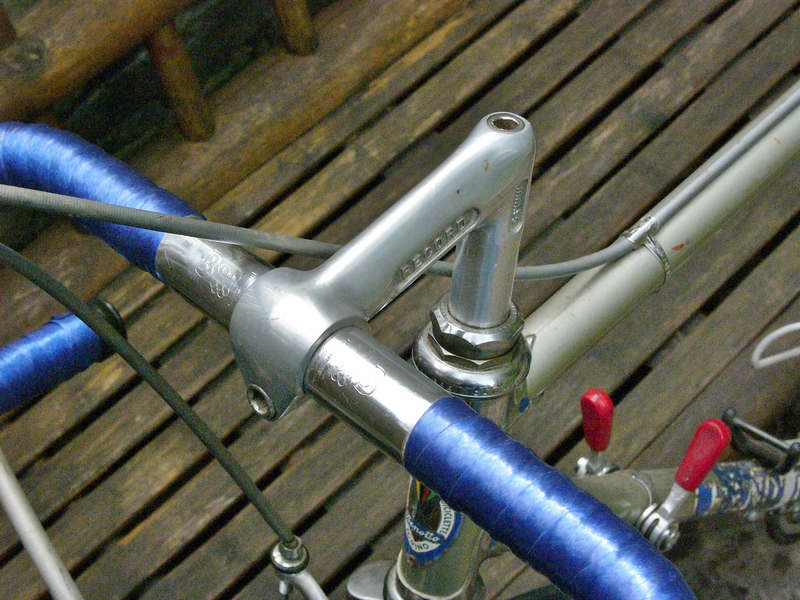 Unfortunately, there are no tubing stickers present on the frame. 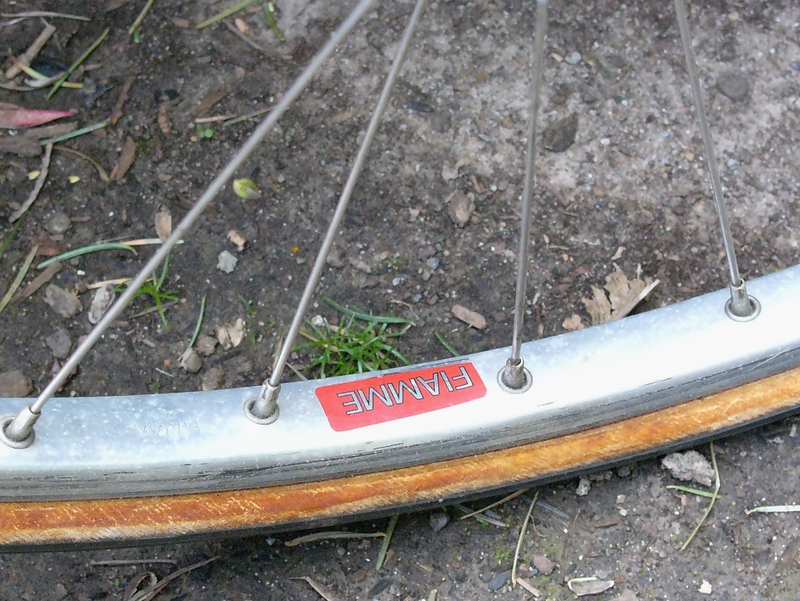 At first, I thought this bike dated to the late 1970’s, but Tina wasn’t quite sure in what year she purchased the bike. 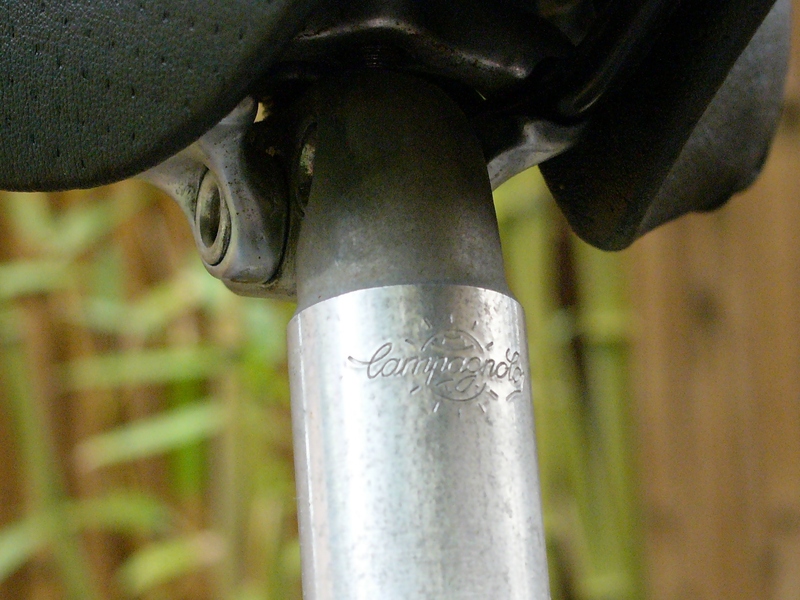 The above photo shows that the Campagnolo NR rear derailleur has “Patent-73” stamped into its body. 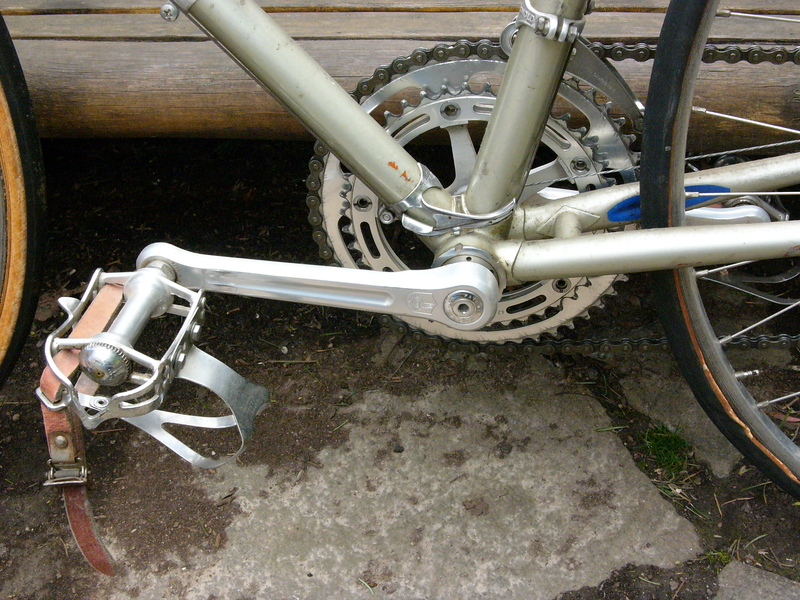 This derailleur style was later replaced in the late 1970’s. 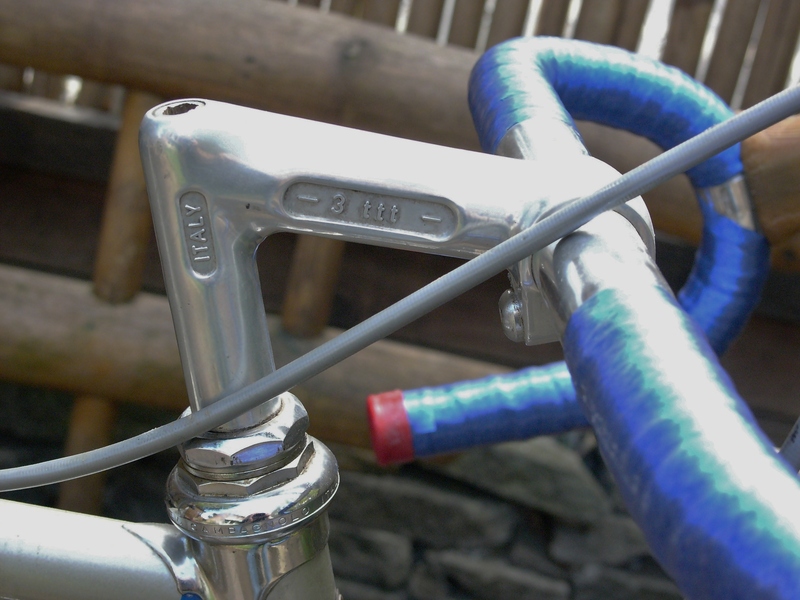 The presence of cable clamps provides further proof that the bike is earlier than late 1970’s because at that point, all the higher end Benotto’s had brazed on cable guides. So, it is likely that this is a mid 70’s model. But what model is it? 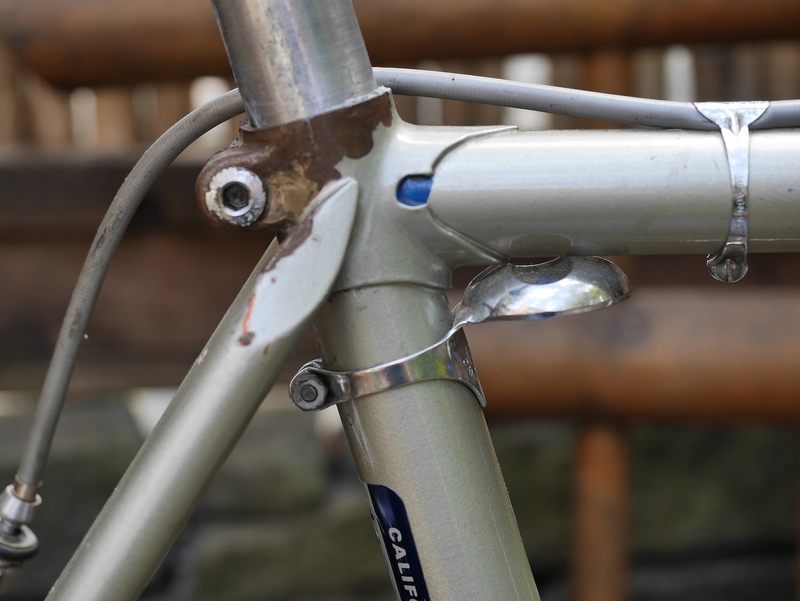 The frame size is 54 x 54, with a 100 cm wheelbase. 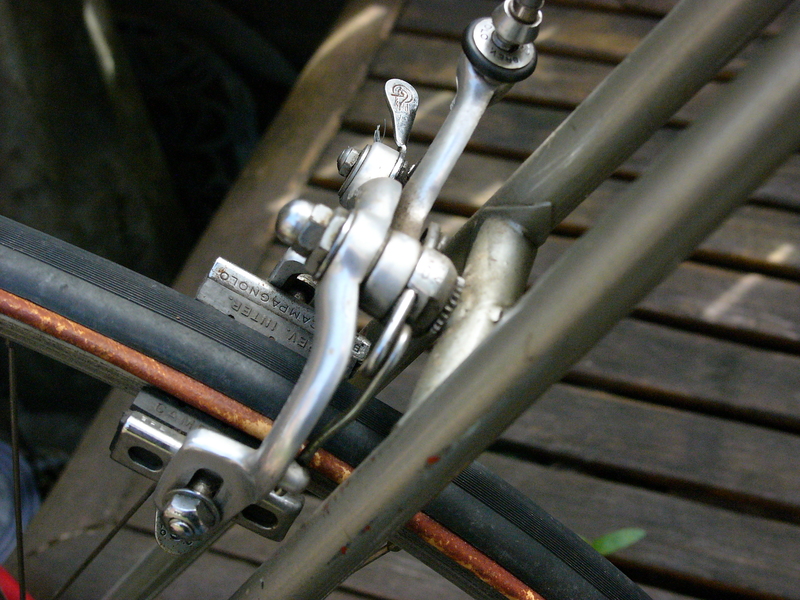 There are single eyelets front and rear. 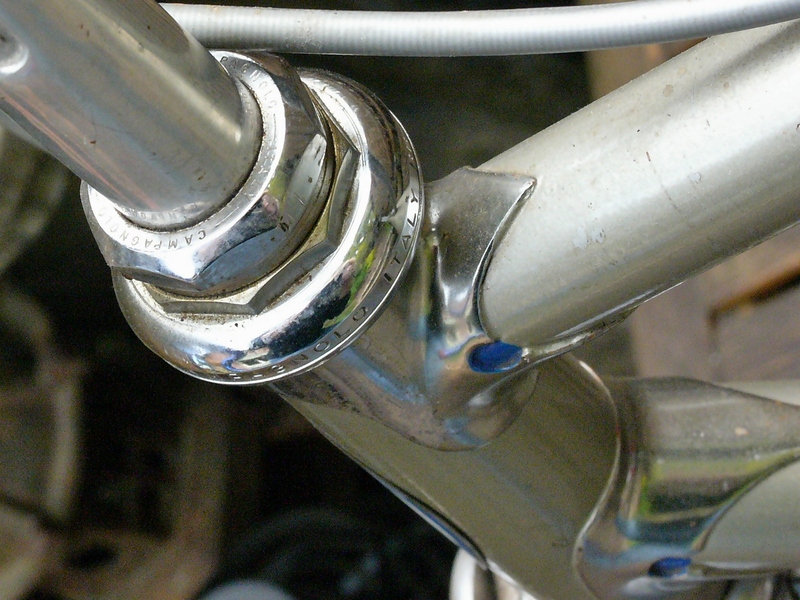 There are no other braze-ons or bosses. 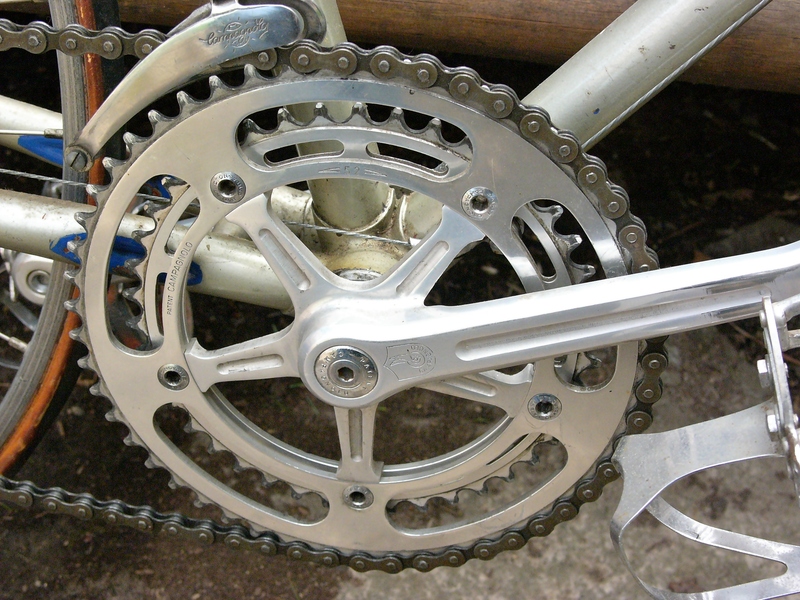 Components are: Campagnolo NR: brake levers, brake hoods, brake calipers, pedals, seatpost, cable clamps and cable guides, headset, bottom bracket, shifters, derailleurs, crank arms and rings, hubs, and quick releases. 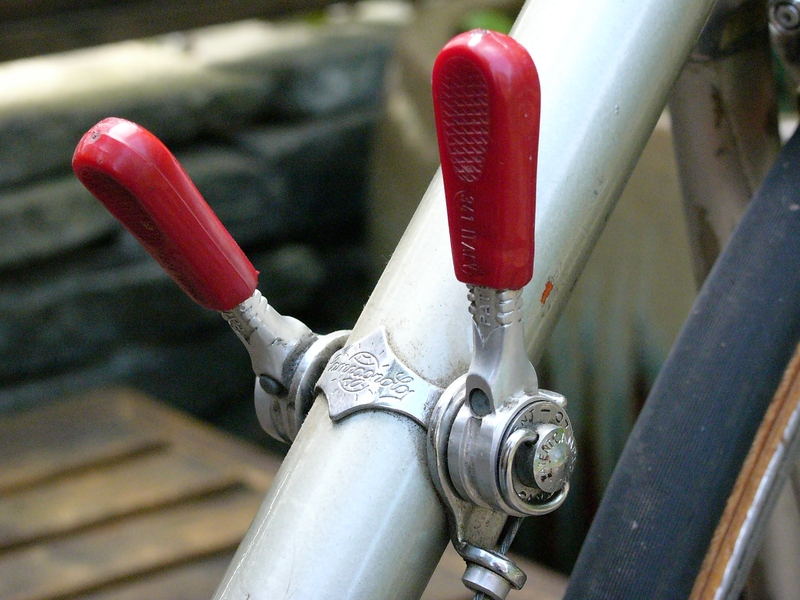 The shifters and quick releases are color matched with Campagnolo red covers. 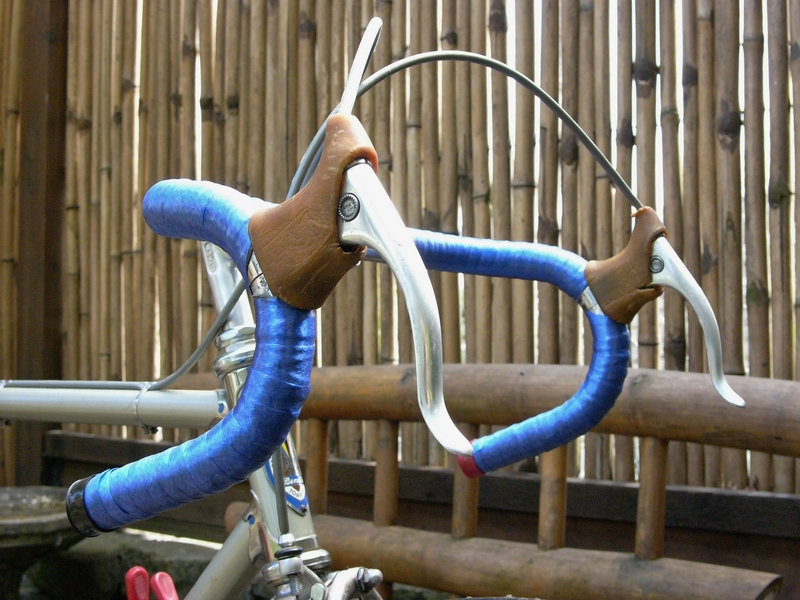 Other components include 3TTT bars and stem, Christophe toe clips and straps, a Regina 5 speed freewheel, and of course that beautiful and iconic blue Benotto bar tape. There are some condition issues with the bike. 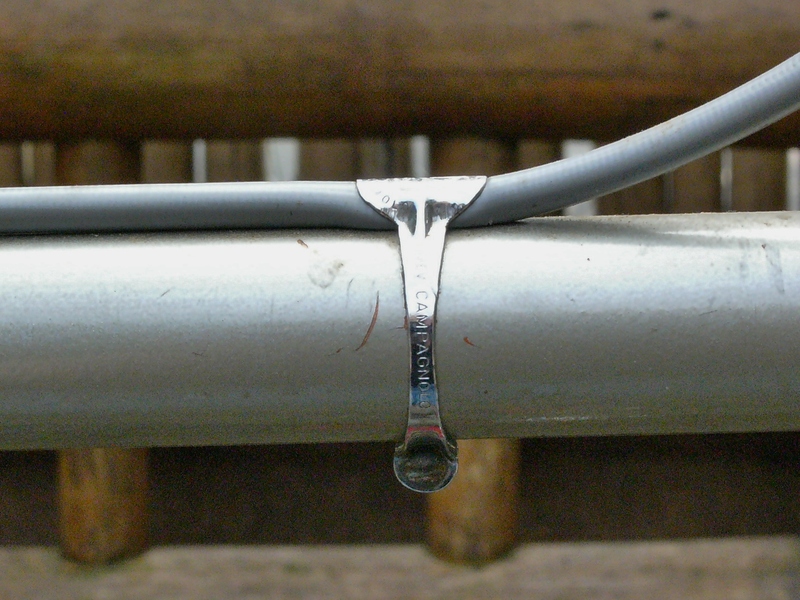 The Benotto logo on the down tube is in bad shape, and there is paint loss around the seatpost clamp. 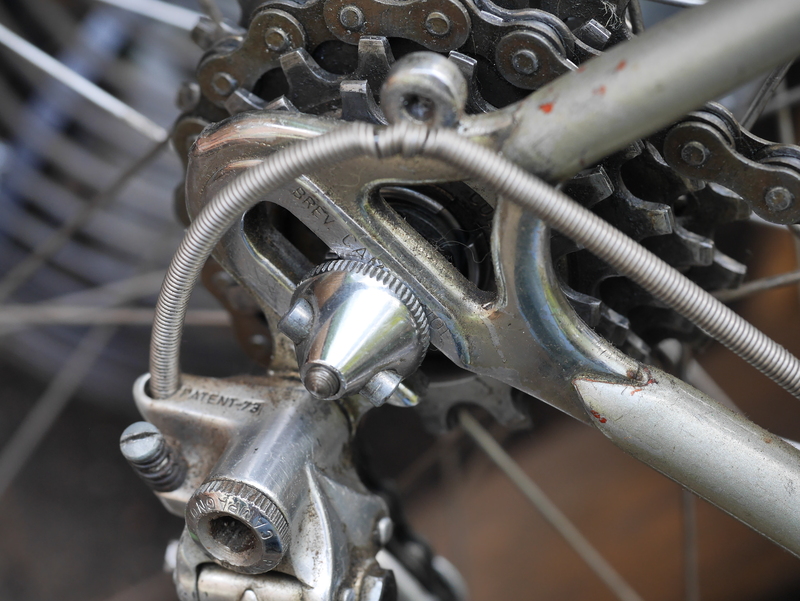 Overall, this bike is in amazing shape for being 4 decades old, and unridden for a couple of those decades. 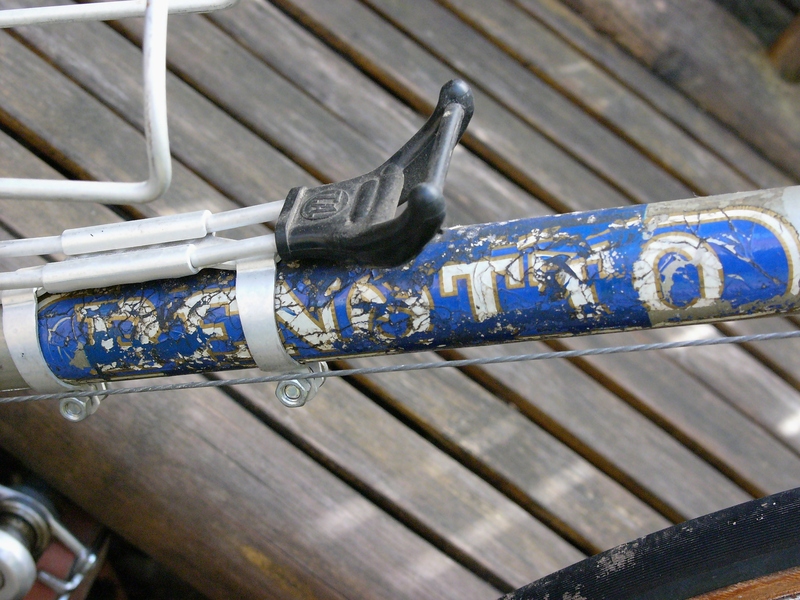 I welcome any assistance on further identifying Tina’s Benotto. If you are interested in purchasing it, please contact me – I have included a widget below to allow you to send me a private email. 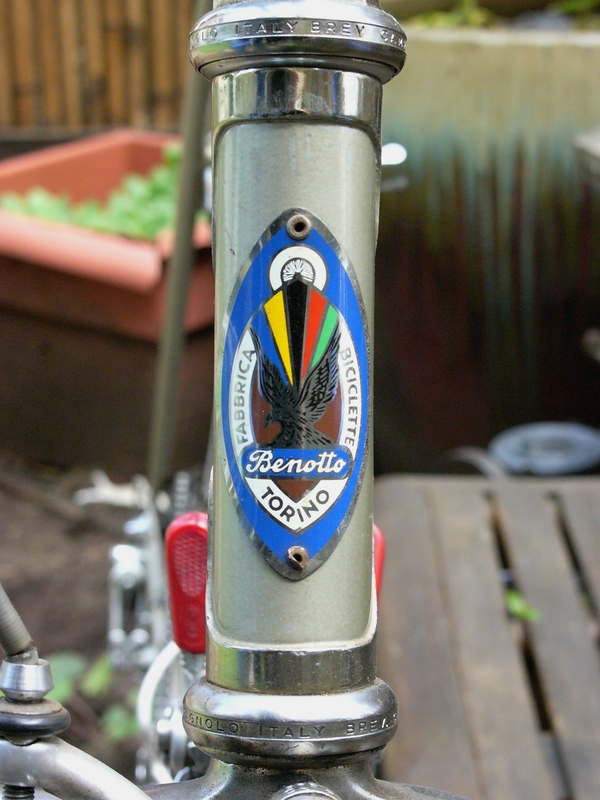 This entry was posted in Benotto, Bicycle restoration, Vintage bicycle, Vintage bicycle restoration, Vintage Italian Bicycle and tagged 1970's Benotto, 3TTT, Benotto, Campagnolo NR, Fiamme, Vintage Benotto, Vintage Campagnolo by Nola Wilken. Bookmark the permalink. Did you consider reaching out to the folks in the classic lightweights forum on google groups? 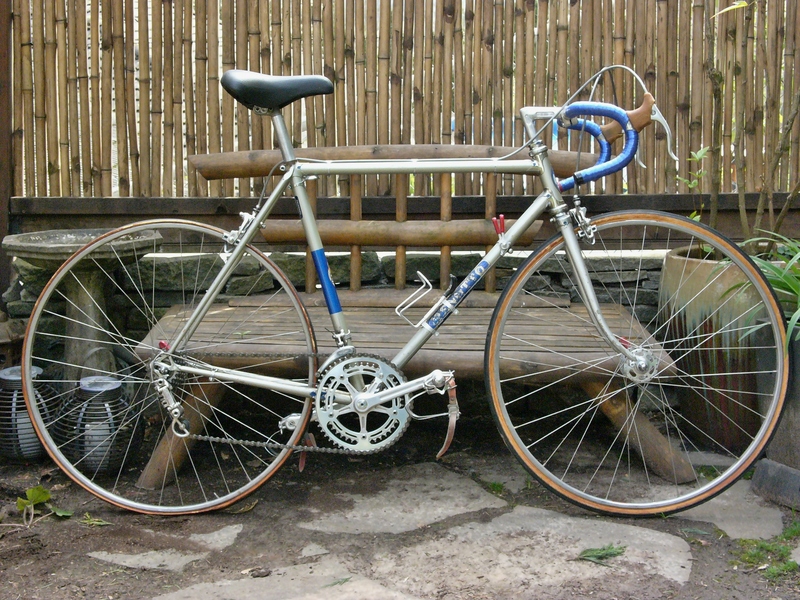 Very nice bike, would be a sin to part it out, just curious, what would you need forthe Benotto? Yes, I think the bike should be kept intact. It is the perfect size for about a 5’9″ rider.